Volcanoes are mesmerising to watch. But, the problem with real-life lava is that it comes with the side-effects of heat, fire, and a sulphur smell worse than an egg sandwich that’s been trapped in a hot lunch box for 3 days. A far better way to enjoy the beauty of an eruption is with this Volcano Light! 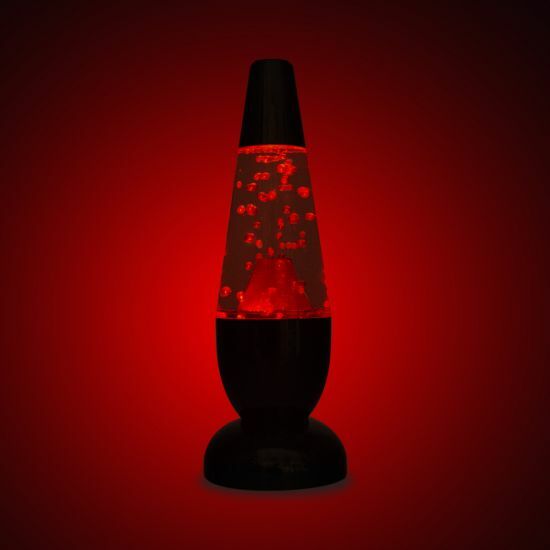 This light is shaped similar to your classic lava lamp, but goes a little further than just containing floating goop. This light features a mini volcano that spouts little balls of lava! It’s powered by LEDs, so it’s as cool to the touch as it is just plain cool. This light just needs 3 x AA batteries (though it’s so fascinating to watch you’ll want to give it all your attention, too). That makes it perfectly portable, letting you put it wherever you like. But, if you want this light to keep on erupting, you can also power it with a 4.5V DC cable (not included, and neither are the batteries, for that matter). Volcanos are so hot right now. So, if you want an active volcano to entertain you when you’re inactive, order this LED Volcano Light volca-now!